On 23 June, Indian Space Research Organisation (ISRO) has successfully launched the 712 kg Cartosat-2 series satellite for earth observation in Cartosat-2 series -- a dedicated satellite for defence forces -- from the Sriharikota spaceport. The PSLV-C38, is carrying 712 kg Cartosat-2 series satellite for earth observation and 30 co-passenger nano satellites, weighing about 243 kg, the total weight of all these satellites carried by the PSLV-C38 is about 955 kg. The co-passenger nano satellites belong from 14 different nations, including countries like-Austria, Belgium, Chile, Czech Republic, Finland, France, Germany, Italy, Japan, Latvia, Lithuania, Slovakia, the United Kingdom, the United States of America and India. Cartosat-2 is a remote sensing satellite and its major objective is to provide high-resolution scene specific spot imagery. 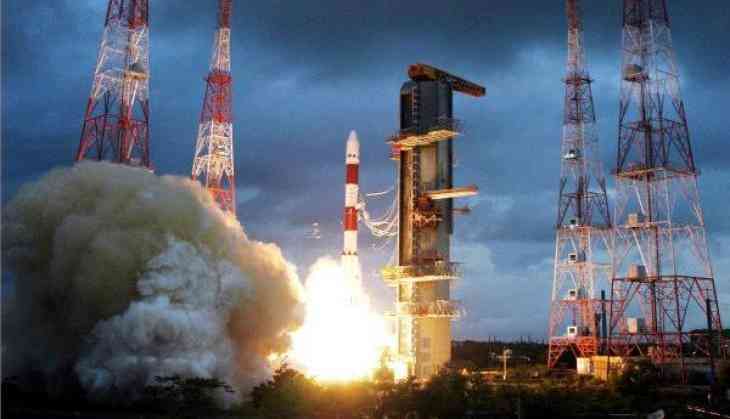 The latest remote sensing satellite was launched on board PSLV-C38 at 09.29 hours from the First Launch Pad of Satish Dhawan Space Centre in Sriharikota. "It can recognise objects within that square (0.6 m by 0.6 m)", an ISRO official told PTI on condition of anonymity. "Defence surveillance will get a leg-up. It can be used in identifying terrorist camps and bunkers... Some formations." Once this satellite becomes operational, it would be "handed over" to the defence forces, which have their own "set up," including ground-stations and trained manpower to access data. On the need to have a third satellite in the series, the official said, "The revisit time is the one which determines your data accessibility. More the number of satellites, the better and shorter revisit time you will have and more data you will get." "They (Cartosat-2 series) are agile satellites - agile in the sense they can take pictures of the place that you want, you can choose and programme it," he said. According to ISRO, the latest spacecraft is similar in configuration to earlier satellites in the series with the "objective of providing high-resolution scene specific spot imagery." The 28-hour countdown for the launch of Cartosat-2 series satellite along with 30 co-passenger satellites from Satish Dhawan Space Centre at Sriharikota in Andhra Pradesh began at 5.29 am today. The Polar Satellite Launch Vehicle, in its 40th flight (PSLV-C38), would launch the 712 kg Cartosat-2 series satellite for earth observation and 30 co-passenger satellites together weighing about 243 kg at lift-off into a 505 km polar Sun Synchronous Orbit (SSO) at 09.20 hours tomorrow, the ISRO officials said.